You know that where you choose to retreat is as important as where you stay. tonic is located on Talga Rd Lovedale. 1 hour and 30 mins easy drive from the F3 freeway start at Wahroonga in Northern Sydney. 2 hours from the city centre. Surrounded by vineyards with stunning views to the Broken Back Ranges. 10 minutes to central Pokolbin and its restaurants, golf courses and vineyards. 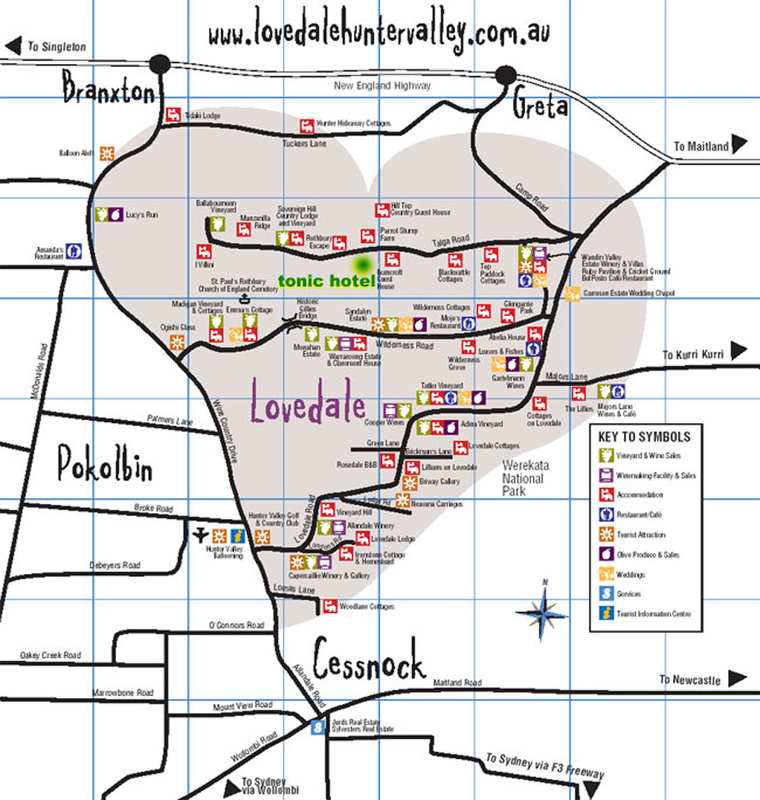 Lovedale restaurants minutes away and wonderful local tastings all around. Do you crave the peace and quiet? tonic has it in abundance!